“Jack B. Badd” (later “Kyra”) is a recurrent character in the Riddick science-fiction movies. She appeared as a girl in Pitch Black, then as a young woman in The Chronicles of Riddick. Other Aliases: Audrey, Jack B. Badd. Base Of Operations: Crematoria Prison, formerly Mobile. Kyra was very acrobatic and a highly skilled fighter, especially with blades. Nothing is known about the girl who would become Kyra prior to the age of 12. Some accounts suggest that her birth name was Audrey (website). She boarded the space transport Hunter-Gratzner under the alias “Jack B. Badd”. She traveled disguised as a boy because she thought people would be less inclined to give her trouble that way. The trip was interrupted when the Hunter-Gratzner crashed on a planet in the M-344/G system. It was there that Jack met Riddick, an infamous outlaw. Jack was enthralled with Riddick, who was everything she wanted to be — tough and dangerous, feared and respected. She began to dress like he did and mimic his speech patterns. Riddick, who had a bit of a soft spot for children, quietly humored her and even began to be somewhat protective of her. The odd surrogate father/child relationship budding between Riddick and Jack ended abruptly when Riddick left her with the Imam Abu al-Walid on New Mecca. 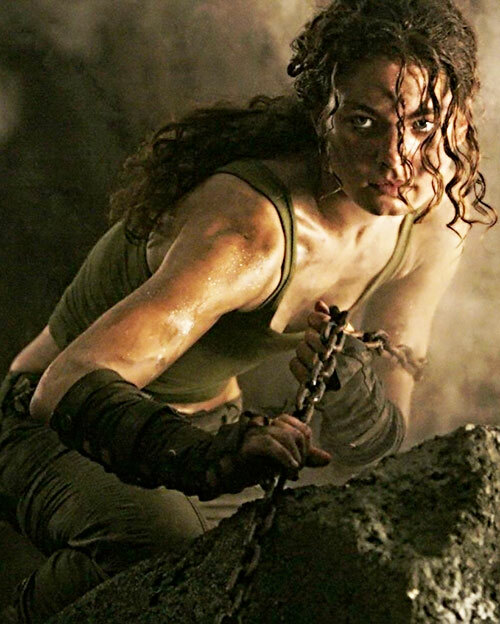 Riddick was a hunted man and decided to leave Jack behind so that she wouldn’t become a collateral casualty of the on-going attempts to capture him. Jack decided to follow Riddick. She traveled to Lupus 5 and signed up with a group of mercs. Unfortunately, their only interest in Jack was as a commodity and she was promptly sold to slavers. She tried to escape and killed several of them in the process. As a result, Jack ended up in the slave-labor prison on Crematoria. Her disillusionment with the criminal lifestyle was completed when she found out that the operation Riddick had purportedly undergone to get his “eyeshine” didn’t exist. Feeling betrayed and abandoned, Jack made as complete a break from her past as she could under the circumstances, changing her name to Kyra. Five years after he’d left Jack behind, Riddick came to Crematoria looking for her. He hoped to get her out of the prison and to try and make things right between them. 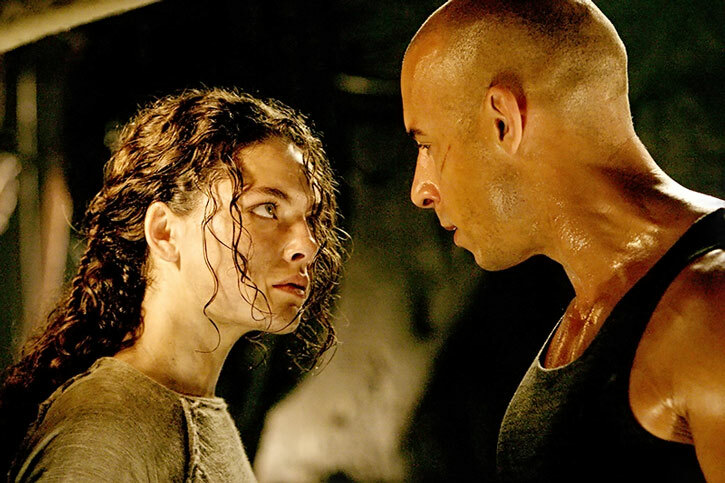 Riddick managed to escape the prison with Kyra and even began to rebuild their relationship, but this was interrupted when the Necromongers intercepted them. The death cultists had come looking for Riddick and caught up with him as he was trying to leave the planet. In the ensuing battle, Riddick was left for dead and Kyra went with the Necromongers rather than face the lethal Crematoria sunrise. Riddick was still alive. He followed the Necromongers back to their current staging area on Helion Prime. He entered their flagship and found Kyra. To his horror, she had undergone the Necromonger conversion process and was now loyal to them. Outraged, Riddick attacked the Lord Marshal of the Necromongers. Riddick was beaten down and about to receive the Lord Marshal’s deathblow when Kyra broke her conditioning long enough to stab the Lord Marshal in the back. The Lord Marshal backhanded Kyra into a set of decorative spikes along the walls of the chamber, fatally wounding her. Riddick was able to kill the wounded Lord Marshal and comforted Kyra in her last moments. Kyra was small-framed but very lithe and well-toned. Her long mane of wavy hair added to her feral demeanor. She wore loose clothing that allowed her to more easily conceal the blades she always had on her person. Jack was fascinated by outlaws. When she finally met such a person in the form of Riddick she became a one-person cult of personality, imitating Riddick to the best of her ability. He became her role model. 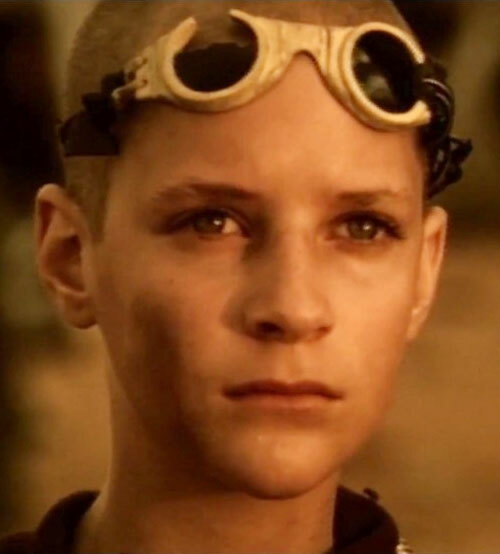 When Riddick left her behind to go into hiding, Jack was devastated. When she was sold to slavers and then ended up in prison and found out about the unglamorous truths of life as an outlaw she felt betrayed. 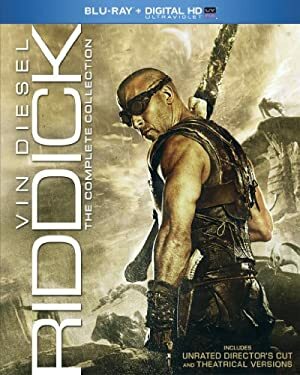 This was all the more vivid because details of Riddick’s past such as an operation that gave people the ability to see in the dark turned out to be false. To put a barrier between the disappointments and humiliations she’d suffered, Jack took on a new persona, going by the name Kyra from then on. Kyra’s reunion with Riddick was very contentious at first. Kyra directed all of her anger over the bad things that had happened to her upon Riddick. She was also very defensive, keeping emotional walls up as a necessity of survival in prison. Still, the two reached the beginning of an unspoken reconciliation as they worked together to escape Crematoria. In the end, Kyra still cared enough about Riddick to break the Necromongers’ conversion for a moment and save his life at the price of her own. Kyra could have been the former sidekick-in-training of any number of heroes or villains. When her mentor left her behind for fear of getting her hurt, Kyra sought out training from less reputable sources. She might have fallen in with groups like Ra’s al Ghul’s cult of assassins and ended up either in prison or on the run from the law. Her former mentor might seek her out to make amends for leaving her and to see if he could save her from her current circumstances. Imam Abu al-Walid (High), and she would have a High Connection to Riddick if she had a reliable means of contacting him. Kyra always has some sort of bladed instrument hidden on her. Examples range from somewhat exotic items like retractable spikes in her boots to razor blades hidden in her mouth. During the Pitch Black era, when she was much younger and less hardened, Jack would have 2 less APs on all Attributes and her only Skills were Acrobatics, Thief (Stealth), and Weaponry (Knives), all at 2 APs. Source of Character: Pitch Black — unrated director’s cut (movie), Dark Fury (anime movie), Chronicles of Riddick (movie), character played by Rhianna Griffith (Pitch Black, Dark Fury) and Alexa Davalos (Chronicles of Riddick). Helper(s): The official Pitch Black website , the novelization of Chronicles of Riddick.